1996: Looking Back At OUR FRIENDS IN THE NORTH | Warped Factor - Words in the Key of Geek. Tony has friends up north. Britain has always loved a historical epic. Always. It was Shakespeare who first cottoned onto this idea and took it stratospheric, with his Hollow Crown sequence of historical plays – give a British audience a compelling story of their own history, and they will sit enthralled through hours and hours of complex character interplay, whispering to each other about who’s who and what they’ve done. You can talk about Game of Thrones all you like, but stick a British audience in front of its own history, and you’re on to a winner. It makes some sense then that hard-hitting northern writer Peter Flannery, during his stint as writer with the Royal Shakespeare Company, should have come up with the idea of Our Friends In The North while watching rehearsals for the Hollow Crown plays. Why not, he wondered, create a story that told modern British history with that same combination of grandeur and intimacy, the personal and the political, and how the two intertwined to change lives and destinies on both the small and large scale. He developed the idea of Our Friends In The North first as a play before eventually bringing it to television in 1996. Let’s make no bones about one thing: Our Friends In The North was a once-in-an-epoch piece of television. Having the Hollow Crown as its stage inspiration, it was also the I, Claudius of British TV in the 90s, mining Britain’s own twentieth century history – in particular the history of left-wing politics – to deliver the same kind of story, both intimate and political, weaving the lives of four friends from Newcastle through three decades of struggle. Like I, Claudius, it also had an absolutely stellar cast, great character actors stepping in even to minor parts, almost as a way of announcing their presence in what was always intended to be, and what became, both compulsively entertaining drama, and television of record, going behind history’s headlines to give us a sense of the impact of the social changes in Britain between 1964 and 1995. 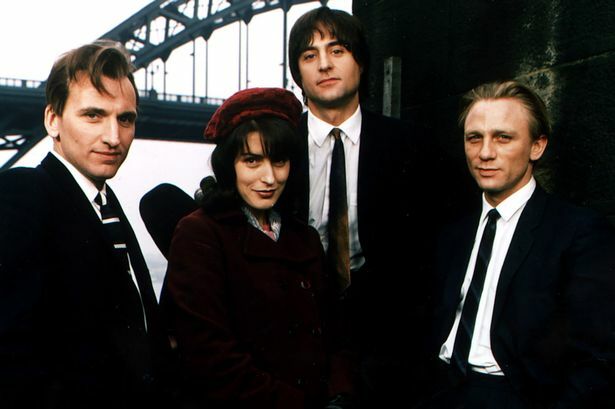 Our Friends made stars of its four leads, Christopher Eccleston, Mark Strong, Daniel Craig and Gina McKee. 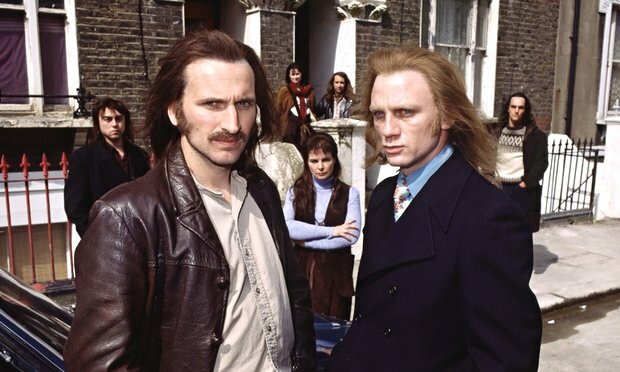 Of the four, Eccleston was by far the best known going in, thanks mainly to roles on the Robbie Coltrane crime drama Cracker and his role in Danny Boyle’s first major film, Shallow Grave (where he co-starred with a young Ewan McGregor and Kerry Fox). In fact, it was through Boyle that he first heard of the project, because Danny Boyle was initially approached to direct Our Friends, but he wanted to see what critical reaction was like on Shallow Grave before committing to it. When Shallow Grave became a triumph, he was greenlit for Trainspotting, and pulled out of Our Friends, leaving it a gift in the interest of Eccleston. But if Our Friends led to great things for most or all of its lead stars, none of the youngsters had their stardom handed to them – Our Friends In The North put them, and occasionally the audience, through the wringer, with tales of personal betrayal, domestic violence, degradation and homelessness (Daniel Craig particularly excelling in the semi-mute fall of his character Geordie Peacock), and the fight against root-and-branch political corruption, along with some of the major events of the three decades covered by the story, particularly including the unfathomable devastation caused in the industrial north by the rise of Thatcherism, culminating in the ideological and class warfare of the Miner’s Strike of 1984. None of the friends’ lives change the world in the same way or at the same level as those in the Hollow Crown sequence, but their ups and downs and intertwinings still manage to bring us up close and personal with philosophical questions, ethical questions, emotional questions and the dynamics of caring and not-caring about people, and politics, and principles – while there are no kings strutting about the stage of Our Friends In The North, there’s all the sturm und drang you could wish for, and all the pure human truth you could wish it to reveal, to boot. Eccleston as Nicky Hutchinson shows us the journey of an idealist, an activist who, like a political Juliet, gets swept up in the rhetoric of a man who seems honest and true, but lets him down, a man whose girlfriend is stolen from under his nose by his good friend, a man who travels, and finds his way back home to the woman he loves – and then blows his world apart. Craig, then a relative newcomer, and by no means especially adept at the Newcastle accent, shows us a journey through success to abject, utter failure and the slow, agonising crawl back to a place somewhere between the two, his Geordie Peacock setting a trend in his career with a relatively taciturn performance. 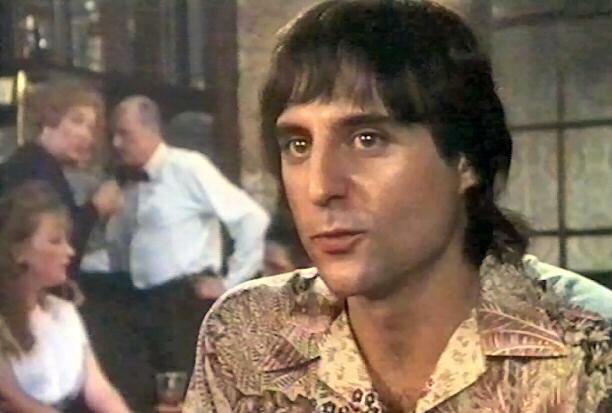 Craig became known as an actor who could say an enormous amount without saying a great deal, leading to interest from Hollywood and eventually to his role as James Bond. Mark Strong’s Tosker Cox provides one of the more buoyant threads in the drama, and at the beginning, he gives the story much of its irrepressible life and hope – but that life, that charm, that hope quickly become a trap for McKee’s Mary Soulsby, derailing her academic future by the nature of northern expectation in the 60s, as she becomes a wife and a mother. Strong’s performance lives up to his name, and it comes as little surprise that he’s made a career playing mainly villains since Our Friends, despite Tosker’s charm. The steel he brings to the character, both in business and in his personal life showcases Strong’s layered skills as an actor. 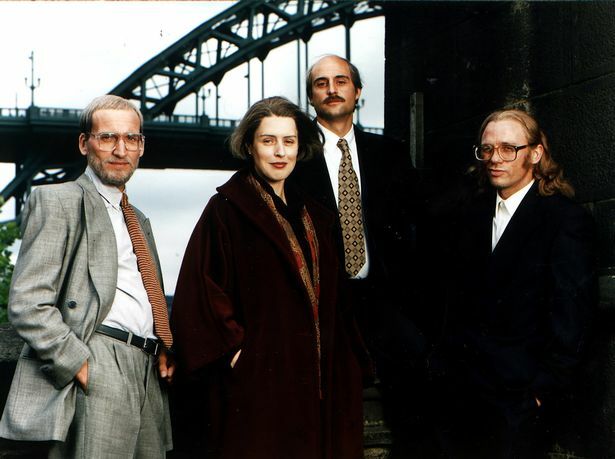 And Gina McKee, whose career has been perhaps the least dramatically stellar of the four (though to be fair to her, she’s up against a Doctor Who, a James Bond and Hollywood’s Brit-villain of choice for several years) gives what is probably the most intuitive and emotionally en pointe performance of the friends, her struggles as a woman in the north, as a politically intelligent activist as well as a wife, mother, and all the other things society expected her to be throughout the 60s and 70s giving the drama a much needed heartbeat. Reflecting the social changes over the three decades of the story, Mary’s life opens up to greater possibilities as time goes on, as she becomes what Nicky tries and fails to be, a Labour MP, allowing us also to see the complexities both of constituency life, parliamentary life, and particularly internecine life in terms of the interplay of factions within the evolving Labour party – from the certainty of its socialist heart, through the ripping out of that certainty during the Miner’s Strike, to the wilderness years of redefinition and to the centrist, Blairite insincerity of New Labour. Life is neither wholly kind nor wholly vicious to our friends in the north, any more than it is to any of us, and the intertwining of their lives over the course of three decades proved to be award-winning, audience-grabbing television, both at the time and when it was re-run in its entirety two years later. More than just entertainment though, it took a long, theatrically hard look at the realities of the human condition as they applied to people from a particular region through thirty years of dramatic social and political upheaval, and it put on televisual record the events of those decades in a very real way, showing the personal impact of both local and national politics. Twenty years on, Britain has a lame duck Prime Minister, a Cabinet split right down the middle, a faction that helped undo one of the most important political decisions of the last fifty years and now has no apparent interest in, or plan to take the country forward from that vote, and a Labour party once more riven with dissension between the old-style socialism which forms the majority of the backdrop of Our Friends In The North and the smiley, centrist, electable but comparatively meaningless sloganism of New Labour. There hasn’t been a better time since its original broadcast to dig out your copy of Our Friends In The North and sit down for nine hours of television that’s perfect on almost every level – philosophically, politically, emotionally and in terms of story delivery. Do it today and perhaps make a little more sense of the world in which we now find ourselves. Do it today, and yearn for a new iteration, taking the friends through Blair and Brown and into the world of Cameron and Corbyn. Do it today and marvel and the levels of the writing, and the performances from four young actors giving their early all, and a range of older actors making every role sing with authenticity. Whatever reason you need, find it, and watch Our Friends In The North again. It still won’t let you down.